Career opportunities in Brigade of Gurkhas (BG) units have never been better. The BG is growing; we are expanding our current footprint and offering more capability to the Army – but what does this mean for the soldiers of the BG? 13 posts to the Band of the Brigade of Gurkhas. A further 356 posts are based outside Gurkha units and provide new opportunities for Gurkha personnel not previously available. These posts are located across the UK, predominately within existing Gurkha footprint areas (posts in the ARRC Support Battalion, Tavaleto Company Warminster, Mandalay Wing Brecon and ITC Support Battalion Catterick), but also include a number of specialist posts in establishments across the UK (UOTC Instructors, RMAS Sandhurst, RSME, MTMC, DSL and Brunei Garrison). Most of the specialist posts are Corporal and above; this means career opportunities grow. VEng Opportunities. The Versatile Engagement (VEng) was adopted by the Army in 2008 and was designed with British Servicepersons (who serve on average only 6.9 years) in mind. There are two main contract types under VEng, a short contract which takes personnel up to 12 years of service and a full contract up to 24 years. All personnel joining the Army since 2008 are enlisted on a VEng (Short) contract and will be boarded for a VEng (Full) contract at some point in their career. As the majority of British Service persons leave Service prior to the 12 year point the majority of UKP personnel who wish to convert to a VEng (Full) contract have that opportunity. However, the overall percentage of personnel converting is comparably low – around 40%. Gurkha manning behaviours are different. Almost all Gurkha personnel join the Army and wish to serve a full career and seek promotion opportunities throughout. 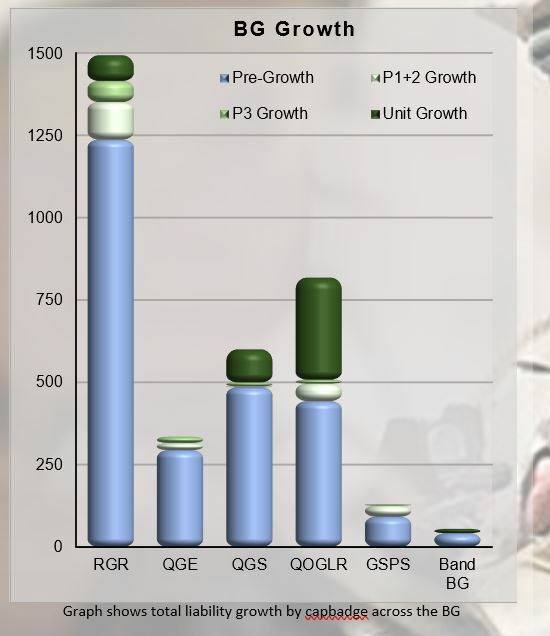 Structurally this is difficult; rank pyramids narrow as we progress through the ranks and without the outflow levels of British units the original BG figures for VEng(F) were previously as low as 18% of each intake. The growth of the BG has significantly changed this for the better. We now have the structures to offer a pan BG sustainable VEng(F) conversion rate of around 55% – this is significantly bigger than the overall VEng(F) conversion rate for British units. Promotion Opportunities. The growth of the BG also brings significant enhancement to promotion opportunities. 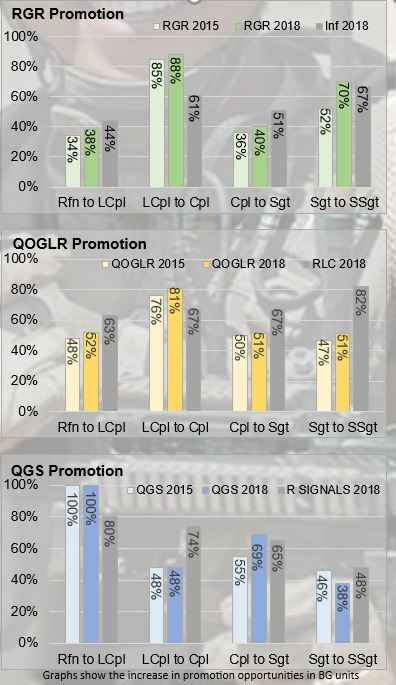 The rank rich nature of the growth means that there is a significant increase in the sustainable promotion profile of all BG units. 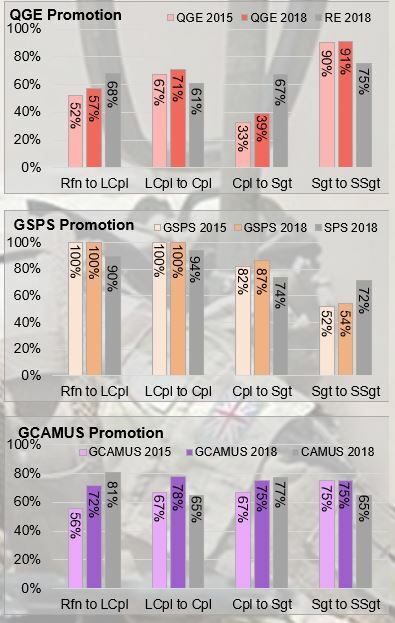 In many areas, opportunities for promotion in the BG exceed the promotion rates in British units; there has never been a better time to be serving in the BG. 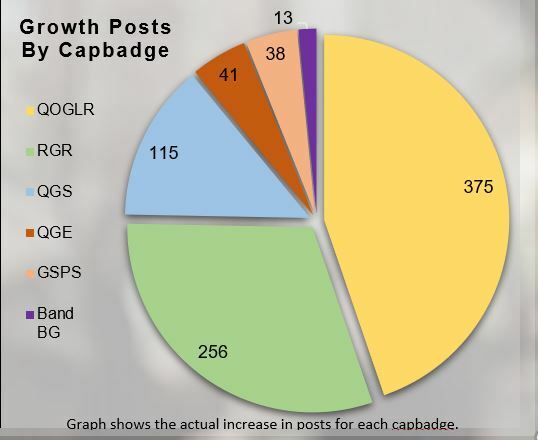 In the short term the amount of growth in the BG will result in even greater promotion opportunities. This means that personnel currently serving will have more opportunities for promotion within the BG than anywhere else in the Army.